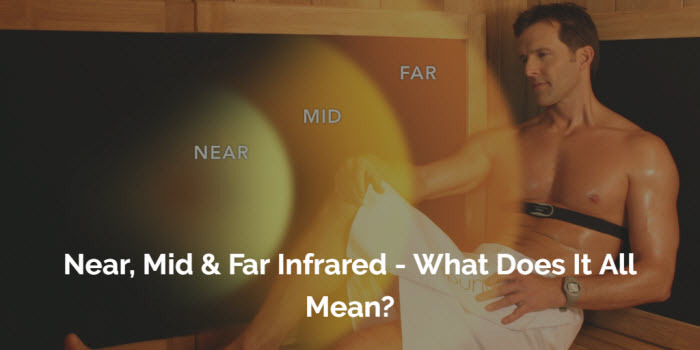 The total infrared spectrum consists of near, mid, and far infrared waves. This represents a small fraction of the vast electromagnetic spectrum which includes visible light, UV light, microwaves, radio waves and gamma waves. 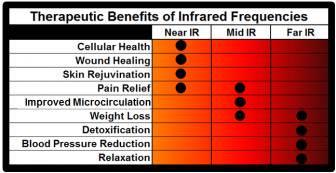 Mid infrared (MIR) is a longer wavelength that can penetrate deeper into the body’s soft tissue where inflammation occur. It expand blood vessels and increase circulation allowing more oxygen to reach injured areas of the body. The longest wavelength, far infrared (FIR), penetrates the deepest at the cellular level into the body, where toxins are stored.